It lets you get to places that you cannot access by any other mode of transport. You can enjoy winter solitude and is a great social activity for all ages and ability levels, something that can be enjoyed as a group. There is no learning curve as there is with activities such as skiing, snowboarding, cross country skiing etc. Required gear includes snowshoes, appropriate footwear and clothing, and a pair of poles. That's it! And the best bit - no lift ticket required. 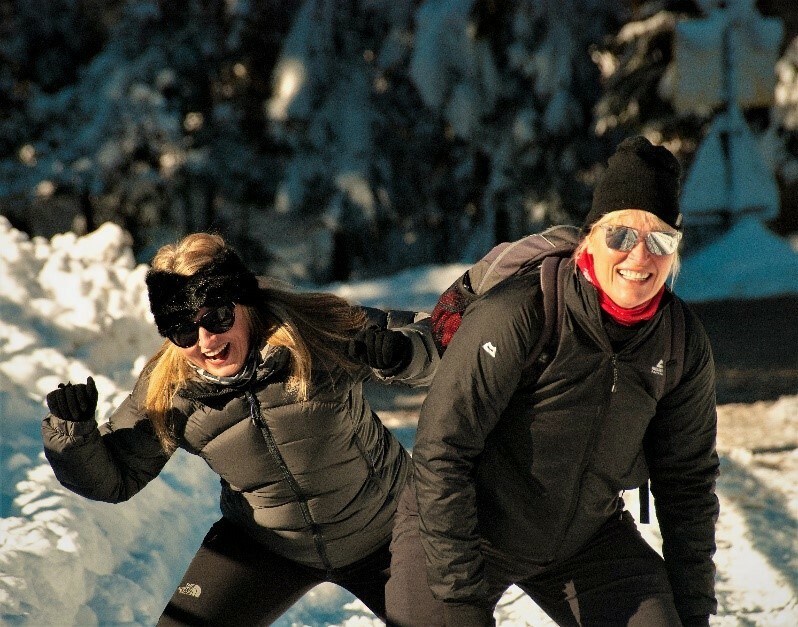 Snowshoeing has great health and fitness benefits. It provides a cardio workout while also building strength, agility, balance and endurance. Its an effective, low impact, and safe form of exercise that burns up to twice the number of calories as walking at the same speed. 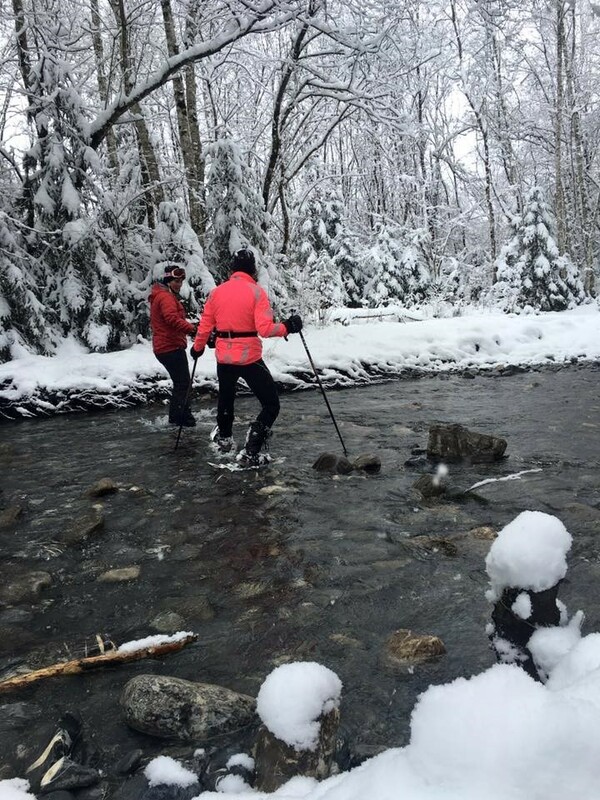 Snowshoers can choose the intensity of their workout, by taking an easy walk on flat terrain or getting a more intense workout walking through powder or on a more hilly terrain. 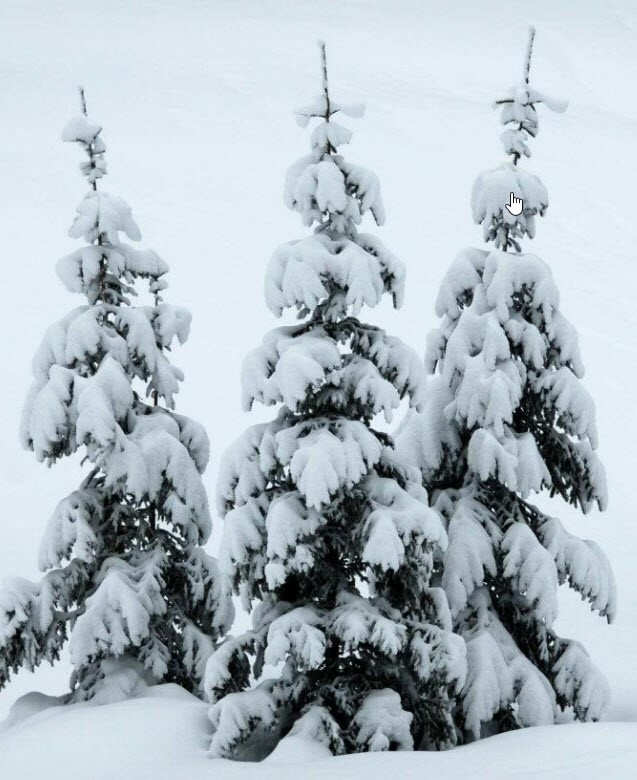 Plus, you can snowshoe many places that are inaccessible on skis due to trees or low-snow conditions. Insulated, waterproof boots are best as they have thick soles, rubber/leather uppers and insulation. Wool or synthetic socks with wicking liners help feet stay dry and warm. Gaiters keep snow out of your boots and should be consider if you are intending to walk through some deep powder. Layer your clothing so it can be adjusted to your activity level and the weather. Base layer: Always avoid cotton it just soaks up water whilst synthetics and wools retain warmth even when wet. Wear long underwear that wicks away moisture, insulates well and dries quickly. Insulating layer: Fleece is a a good warm insulating mid-layer since it retains heat when wet and breathes as you exercise. Outer layer: A waterproof, breathable shell jacket and pants keep you dry and fend off wind. Keep your head and hands covered to prevent loss of body heat and to protect from sunburn when the sun is shining. Gloves are a must to keep your hands dry and warm. On cold days, combine shells with fleece mittens or gloves. In milder conditions, glove liners may be all you need. Sunglasses and sunscreen will protect you from the UV rays which are especially strong when reflected off the snow. We always hire our gear from Xtreme Glisse – a great ski hire shop in the village. We are very lucky in Samoens and Sixt to have some great local trails. More information can be found at the Samoens Tourist Office and the Sixt Tourist Office. This way you can stay safe and discover some hidden backcountry spots. We have had some great days out exploring places we would never have found on our own. We would always recommend calling our friends at ZigZag who can offer lots of private or shared options for varying trip lengths.